Dahn Yoga® is a rapidly growing holistic health program that incorporates the use of life energy (ki) to facilitate physical and mental health. Today, more than one million people world-wide are practicing Dahn Yoga. Dahn Yoga is based on Dahnhak®, the study of life energy and an ancient Korean system of incorporating mind/body training with relaxation techniques. Dahn means energy, vitality, and origin of life, and hak means study, philosophy, and theory. This traditional training program was re-discovered and modernized by Ilchi Lee in 1980. 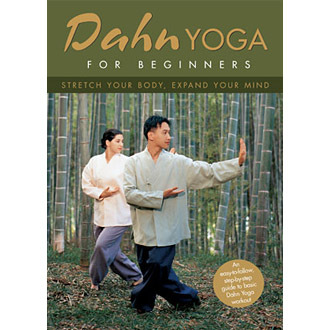 Dahn Yoga for Beginners offers an easy to follow, step-by-step guide to the basic Dahn Yoga workout. Discover how to de-stress and relax through this gentle yoga practice; learn how to feel and utilize ki energy, the ultimate life force, while facilitating relaxation and developing inner peace and external strength.